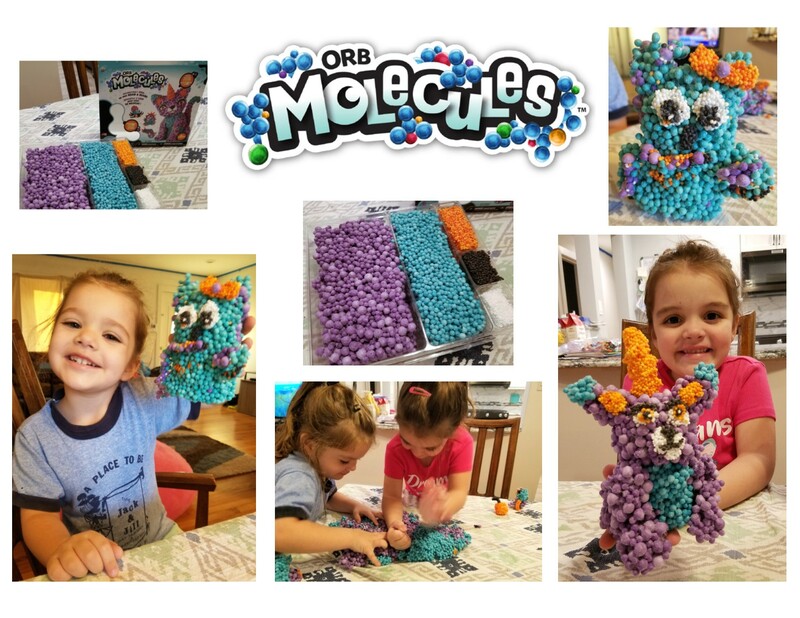 My kids and I are loving ORB™ Molecules. 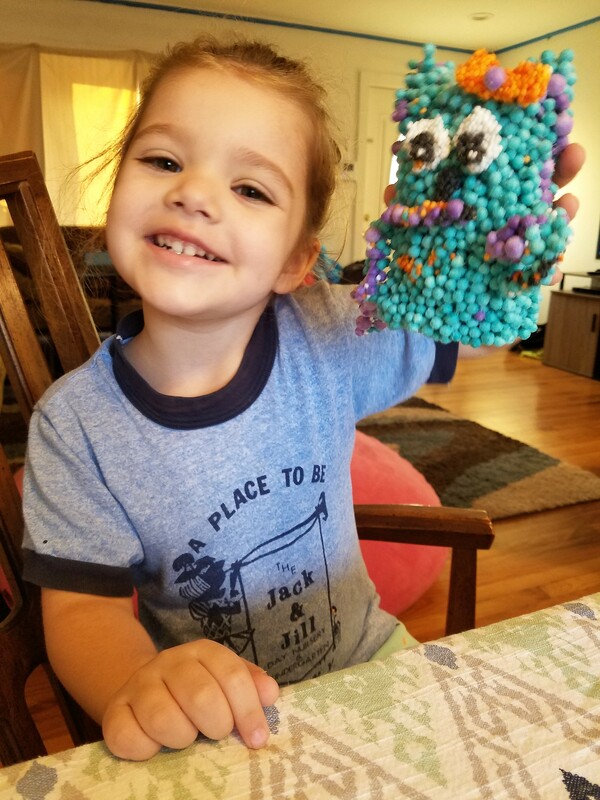 Your child will have fun spending oodles and oodles of time creating anything they can imagine. 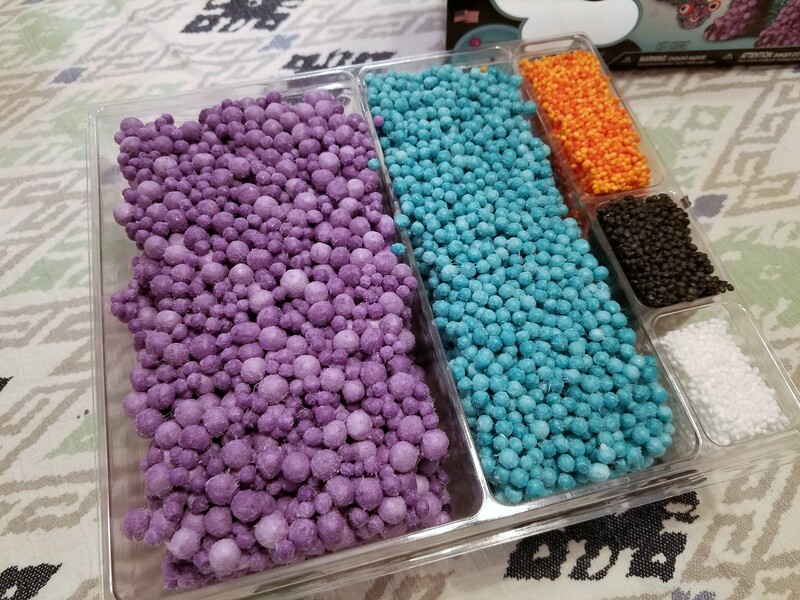 • Each kit includes thousands of pieces that bond together and hold their shape until you decide to deconstruct and start all over. 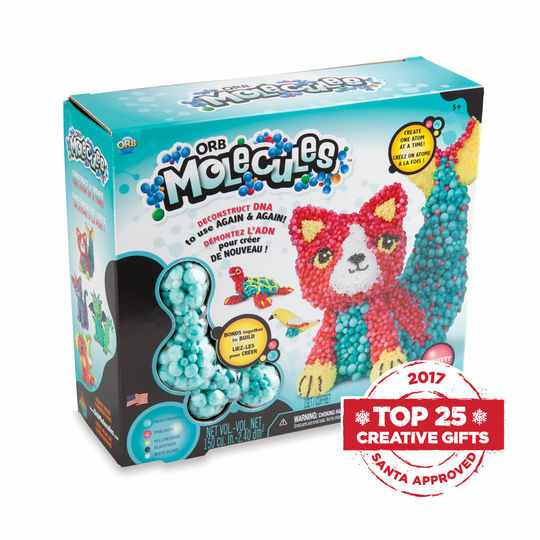 • This binding agent is developed to adhere only to itself, meaning the molecular spheres bond only to themselves without leaving any sticky residue on hands or play surface. • It’s made in the US! 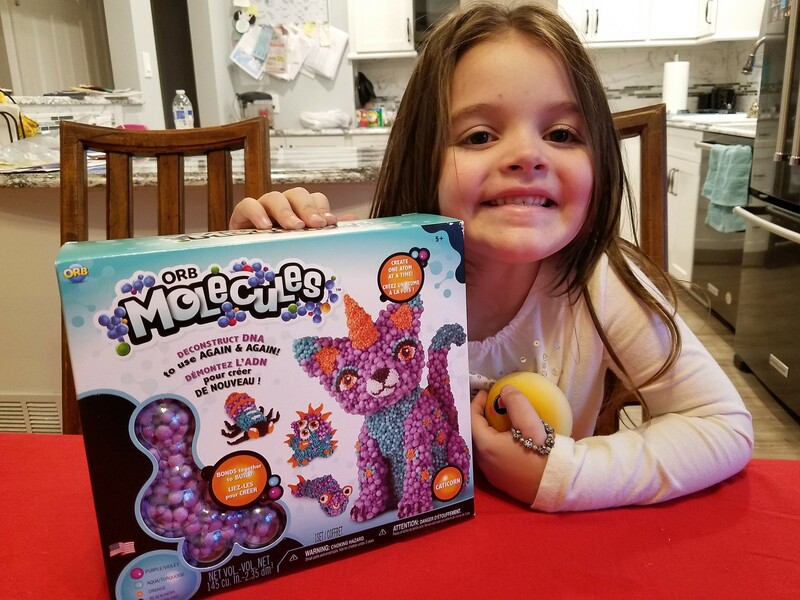 When we opened our first box of molecules the kids could not wait to dig in. The idea of creating things like a Caticorn (Cat/ Unicorn) and Dragasaur (Dragon/ Dinosaur) is totally awesome! 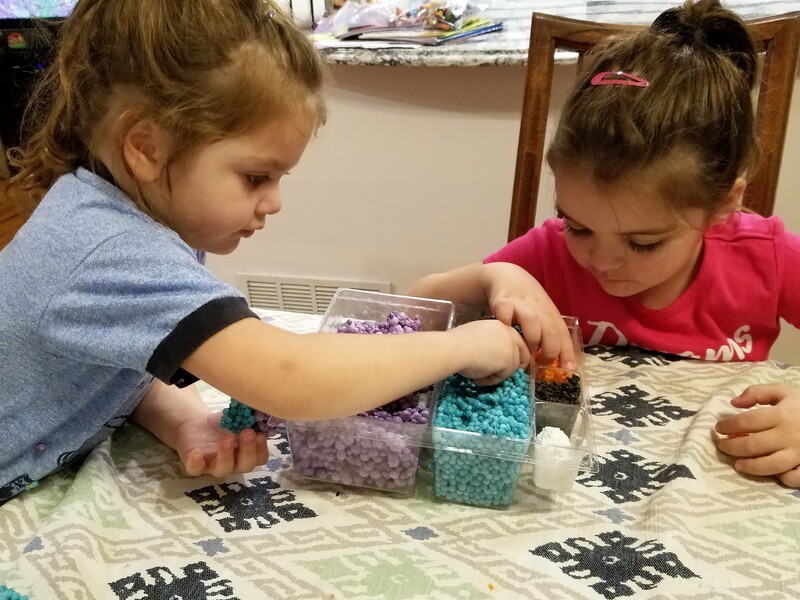 These little Orb Molecules Scientists got their serious creative faces on and they were ready to experiment with the different shapes and colors. 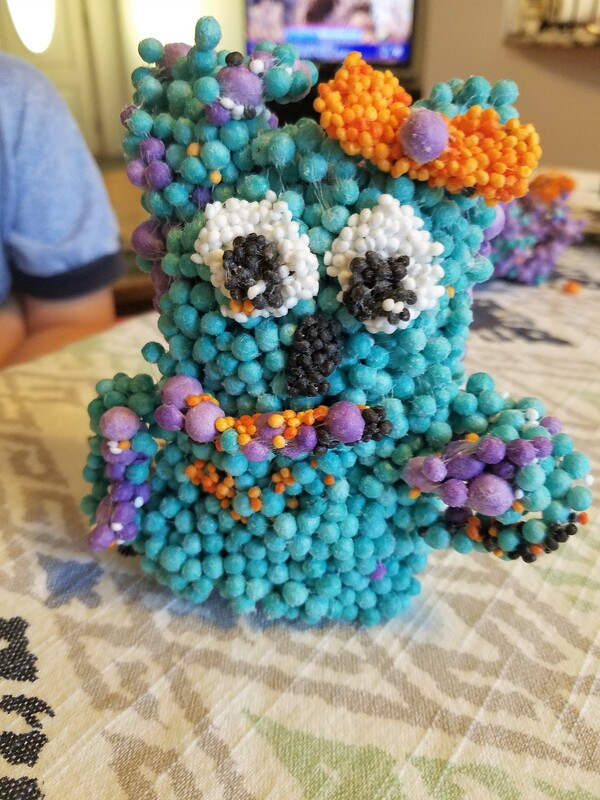 I don’t know who was more excited to see what they come up with me or the kids. 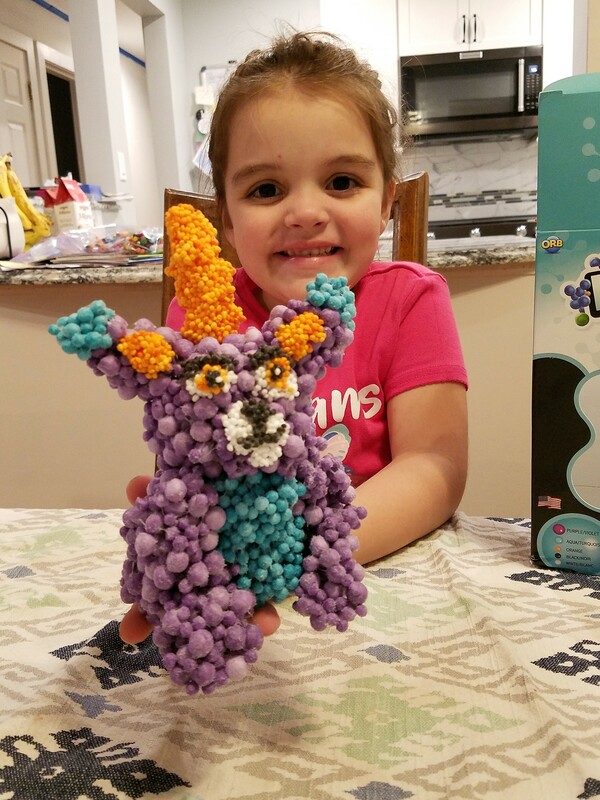 I live for creative and crafty toys. 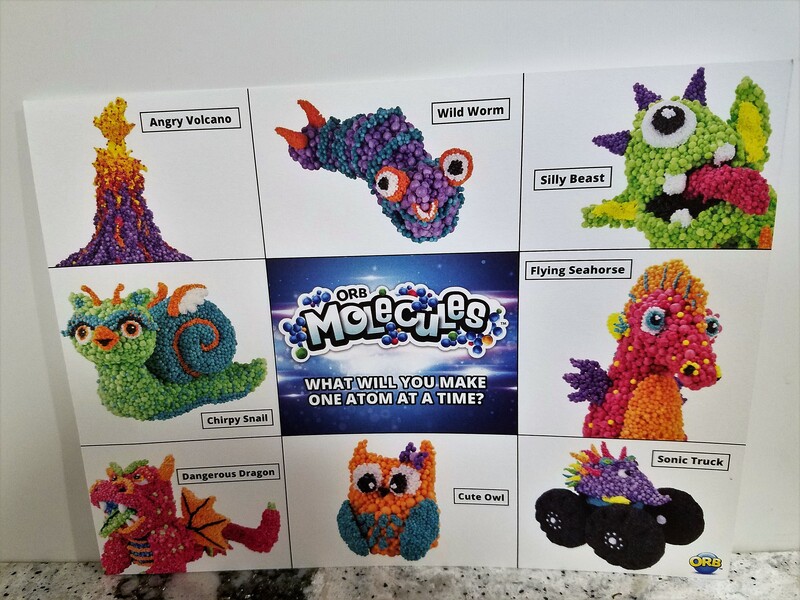 I love that the molecules are different shapes and colors. It allows you to add more details like eyes, accessories and small details. We can play for hours and I love that the toy does not dry out. 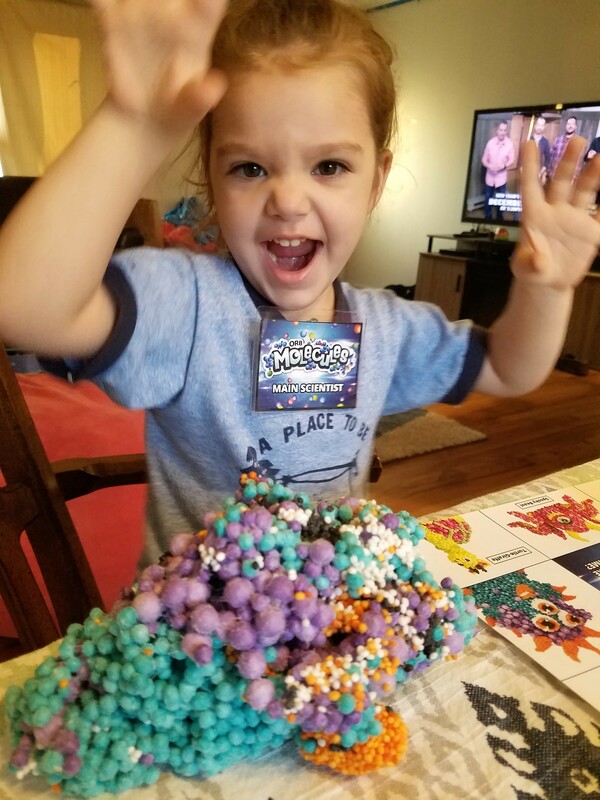 My girls love to see what they have created and it is awesome that we can display what we have made until we want to play again. Are you excited to purchase ? 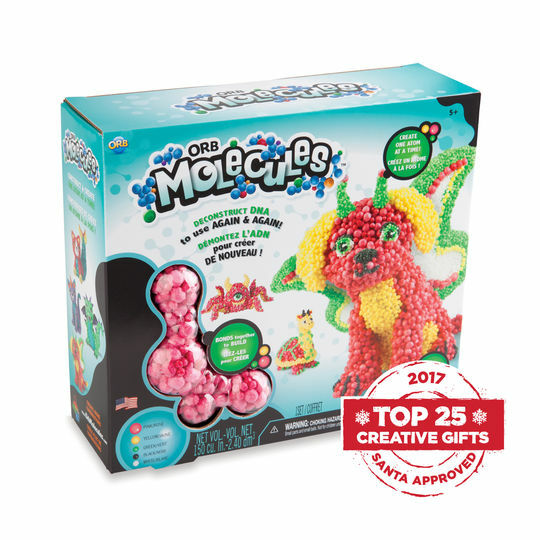 We highly recommend ORB™ Molecules for just about anyone who loves to create through play. 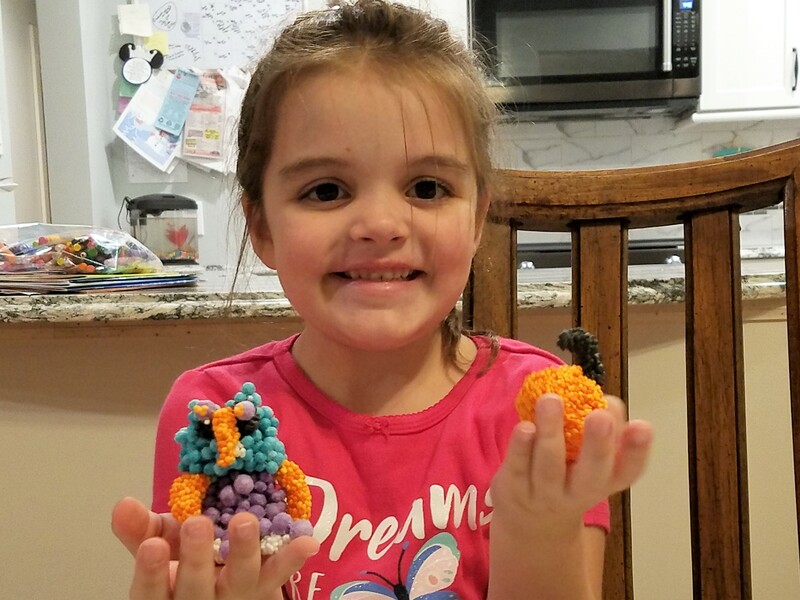 If you need a gift for a child in your life you can not go wrong with an ORB™ toy. 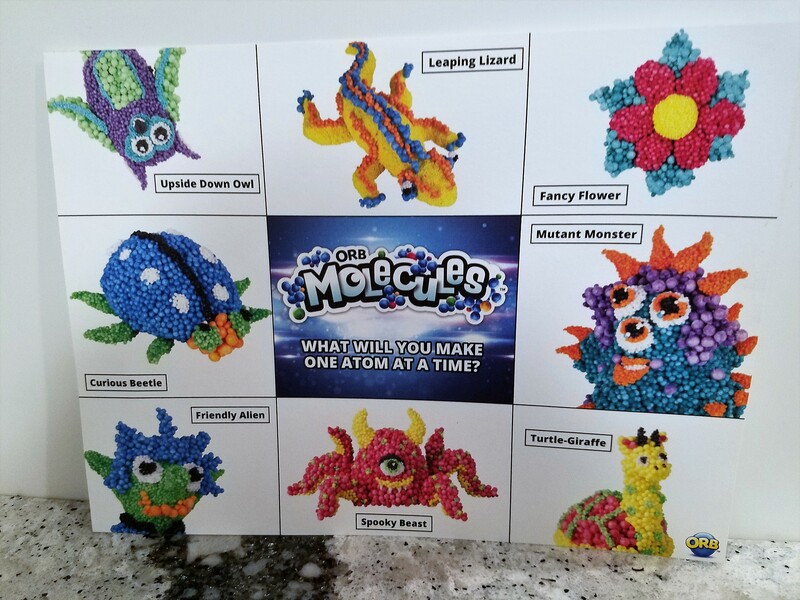 Thanks to ORB™ we have a fun GIVEAWAY! 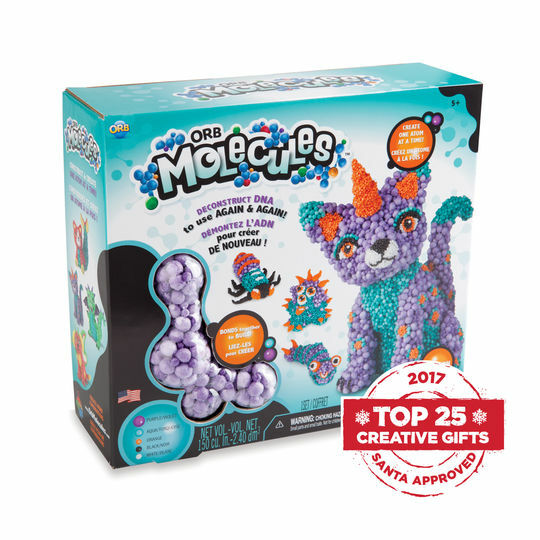 One lucky winner will win an Orb Molecule Set. The winner will be chosen and announced on our Facebook page ! 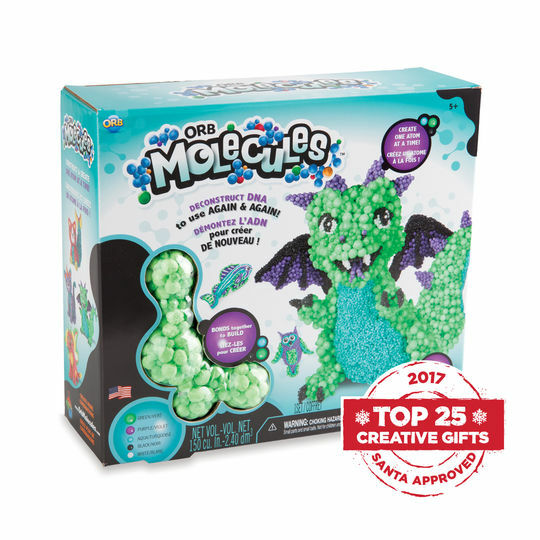 HAPPY HOLIDAYS FROM MOMEE FRIENDS AND ORB™!